My first loaf of sourdough, I might just change career!! If you want to improve the health and wellbeing of your family a good place to start is cutting out commercial bread. Wheat Flour (Wheat Flour, Niacin, Thiamin, Iron, Calcium Carbonate), Water, Yeast, Salt, Soya Flour, Emulsifiers (Mono and Di Glycerides of Fatty Acids, Mono an Di Acetyl Tartaric Acid Esters of Mono and Diglycerides of Fatty Acids, Sodium Stearoyl – 2 Lactylate), Preservatives (Calcium Propionate, Acetic Acid), Vegetable Oil (Palm and Rapeseed), Flour Treatment Agent (Ascorbic Acid). Enzymes are the baking industry’s dirty secret and they are slow to tell us that they use them. Enzymes extend the shelf life of bread and prevent it from going stale. I’m sorry, but I want my bread to go off, otherwise it just isn’t real food. Our bread is laced with ingredients we don’t understand, it’s no wonder it clogs up our guts. And if each mouthful of bread contains less to nourish us, we naturally tend to eat more. A clue to rising levels of obesity, perhaps? Not to mention IBS and coeliac disease, a condition affecting the intestine with IBS-type symptoms such as bloating, constipation and diarrhea. Whatever happened to making bread using flour, water, yeast and salt, 4 simple ingredients when combined with a bit of time produces a beautiful loaf, saving you money, is fun to do with family and friends and is damn tasty. 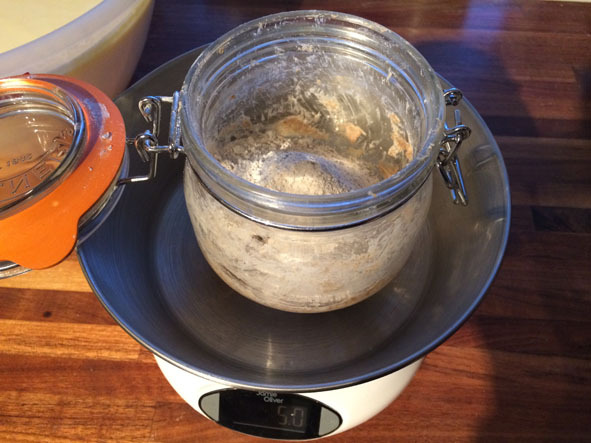 Feeding our rye flour sourdough starter – it’s the new baby in the house!! 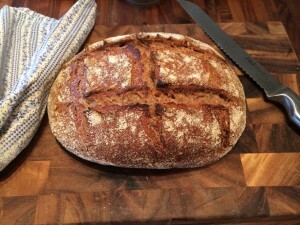 My wife and I started baking our own sourdough bread earlier this year. We heard a gentleman called Joe Fitzmaurice speak at a Weston A. Price seminar in Limerick. 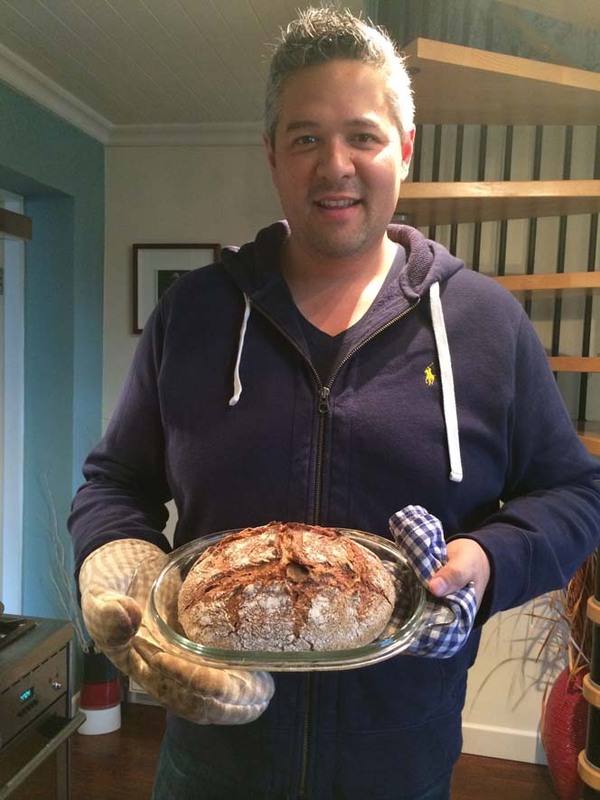 Joe’s “Riot Rye Bakehouse” has started a movement called the ‘Common Loaf’ to empower Ireland to bake real bread. 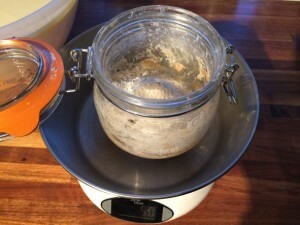 You can follow the process here, he has two simple videos to show you first, how to make the rye sourdough starter and the other how to make the loaf. Give it a go, it’s fun to do it with your kids or grandkids. Give them the knowledge of how satisfying it is to turn flour, water, yeast and salt into a tasty loaf. Sourdough bread loaf fresh out of the oven – beautiful!